You’ll find plenty of space in one of our Toyota minivans, such as the Toyota Sienna, to accommodate your extra cargo, passengers, and more. Not only will you find a spacious, comfortable ride in a new Toyota, but you’ll find plenty of interior technology to keep everyone entertained, connected, and safe. From the backup camera to the Toyota Safety Sense™️ technology, you’ll find that our Toyota models deliver the Cartersville commute you’ve been hoping for. The minivans also include available dual power sliding side doors, Smart Key access, Split and Stow 3rd Row® seats, and more. 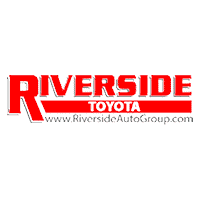 See what else these Toyota minivans and cars have to offer and find the one that’s right for you when you make the trip to Riverside Toyota. Find out which new Toyota minivan or car is right for you and your family at Riverside Toyota near Calhoun. Compare them with us, take your favorite for a test drive, then drive one home. Contact us today with any questions in the meantime. Our finance center will be more than happy to help you get into your new Toyota. You can also apply for financing online to get the process started.